We are the Eastern Carolinas’ most reliable and professional irrigation and drainage company. 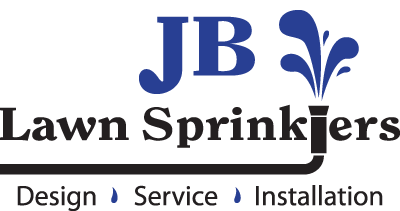 At JB Lawn Sprinklers, our focus is on installing and maintaining efficient sprinkler and drainage systems. We know that by having a professionally designed irrigation system, we can save you money by eliminating the need to over water. Unlike most companies in the area, we don’t specialize in landscaping and do irrigation on the side. JB Lawn Sprinklers, Inc. is truly dedicated to installing and maintaining efficient irrigation and drainage systems. We constantly strive to maintain our reputation as an honest and dependable company. Our attention to detail and expertise in irrigation and drainage along with our dependability and honesty have made us one of the leading irrigation companies in the eastern Carolinas'. Customer satisfaction is our top priority and we would be pleased to serve you. No other company in the area can offer the knowledge and experience our team brings to the table. We have the know-how to keep your system running efficiently. Our team keeps up with continuing education in order to best serve our customers. You can count on our professionals to show up promptly and treat your property with respect. If you aren't happy with our services, let us know and we'll do our best to make it right! We offer turn-key installations with contract pricing. This means your invoice is the same amount as your initial proposal. Labor rates and service charges can vary, so please ask your customer service representative for current rates.